Host1Plus is a hosting company founded in 2008 and driven by developers. It offers high-value hosting services with the core values: reliability, tolerance, partnership. The hosting company has five server locations in Brazil, Germany, South Africa and the United States. The team is committed to ensure immaculate network stability, solid server reliability and excellent customer care. The range of hosting services offered by Host1Plus include: VPS Hosting, Cloud Servers, Web Hosting and Reseller Hosting. 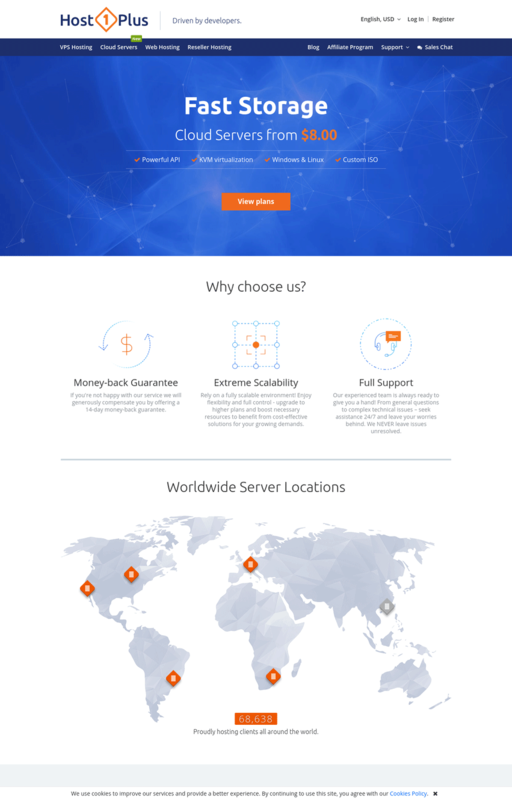 The hosting company offers a wide range of payment methods for their customers, this is one of the hosting companies out there accepting Bitcoins. Host1Plus also offers publishers the opportunity to sign up to their Affiliate program. You can click here to sign up and learn more.